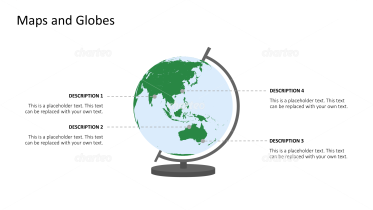 Illustrate regional and international business activities with globes and maps. 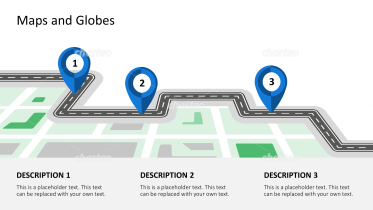 Visualize corporate locations, sale strategies, or sales and procurement markets with this collection of globes, maps, and road plans. 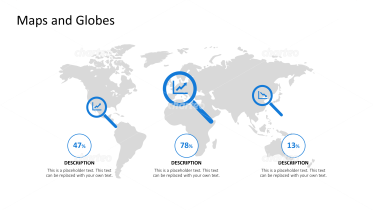 Provide a pictorial overview of the continents, countries, and cities that are relevant to your business’ planning and analyses. 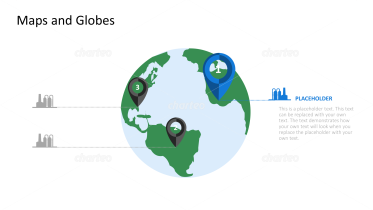 Use detailed maps for regional operational planning and to explain country-specific key figures. 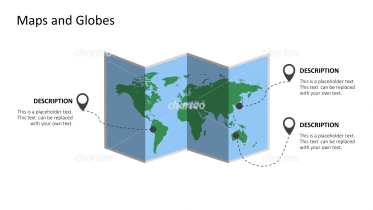 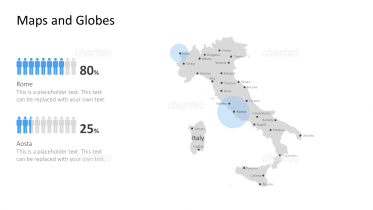 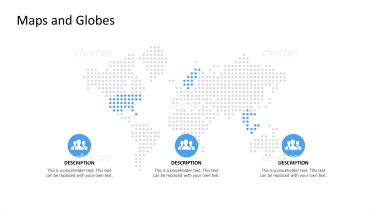 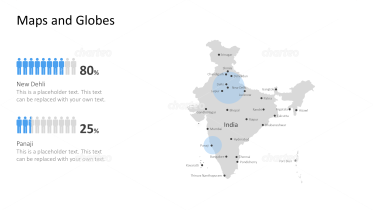 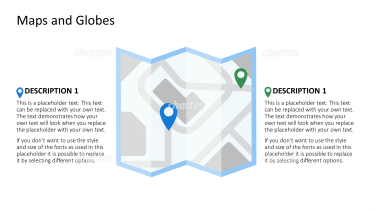 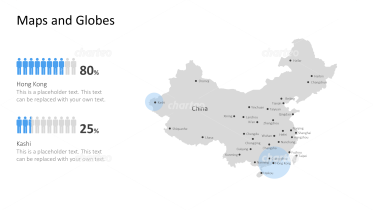 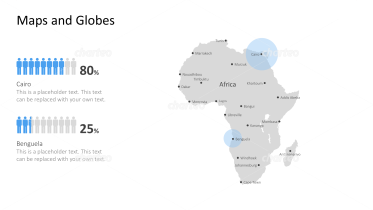 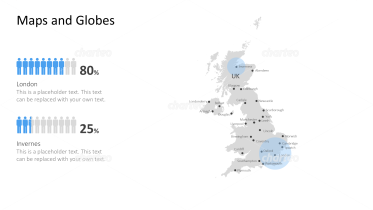 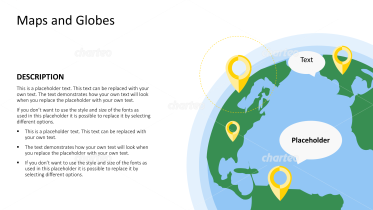 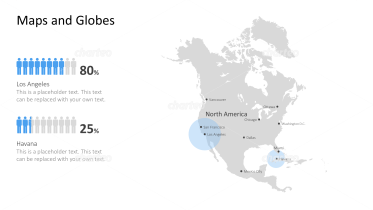 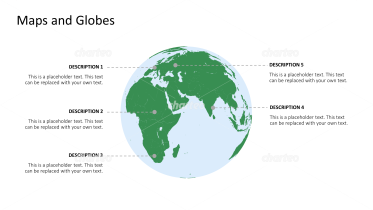 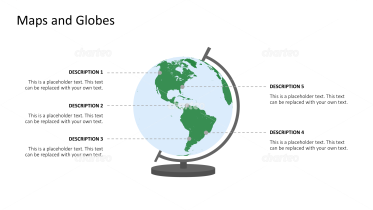 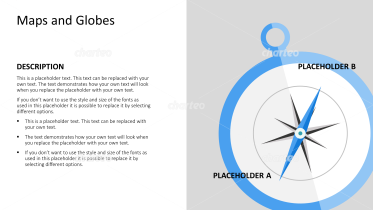 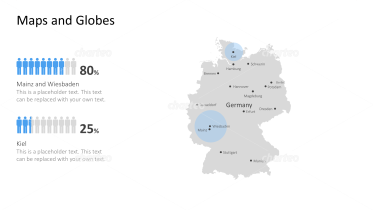 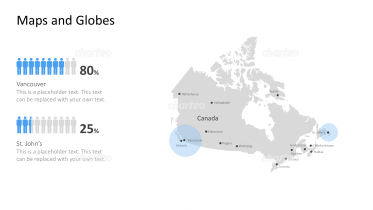 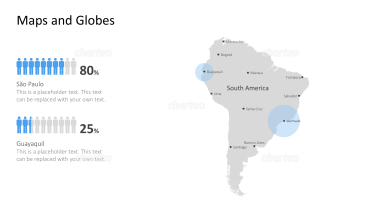 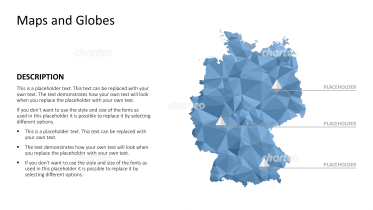 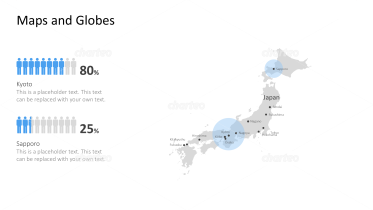 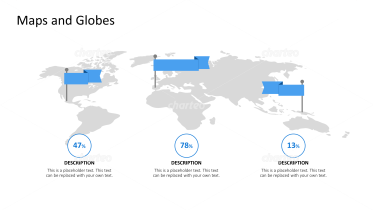 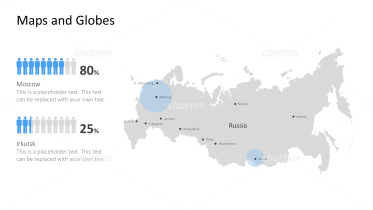 You can use our globe templates to highlight only a specific geographical area, allowing you to focus on individual regions. 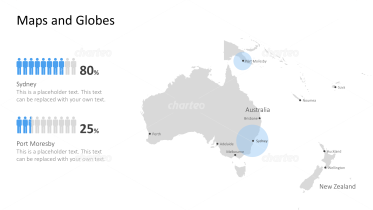 Whether Europe, America, Asia, Australia or Africa, you can highlight the area of focus in your presentation. 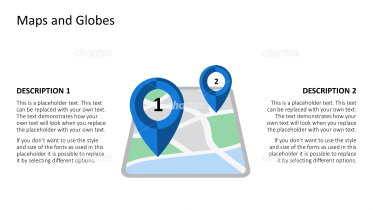 World maps made up of various forms such as stick figures, dots or numbers as well as digital placards and placeholders, enhance this selection. 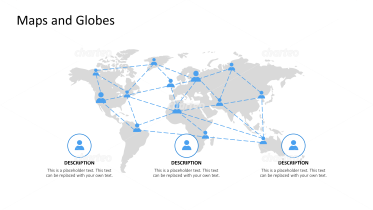 You can also find graphic solutions to demonstrate global networking. 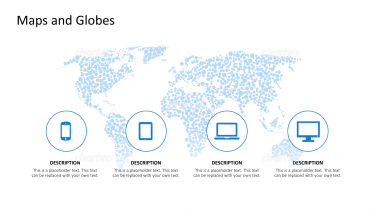 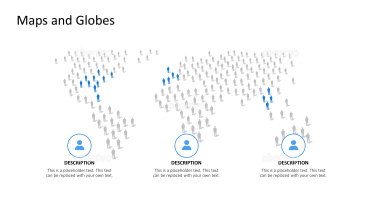 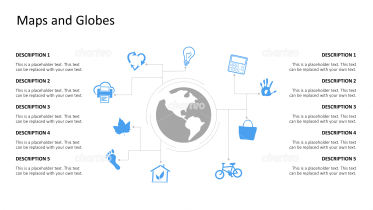 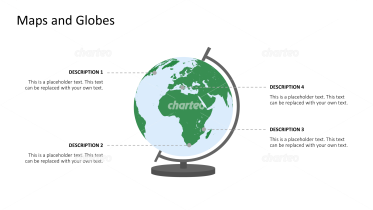 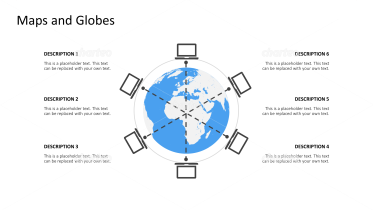 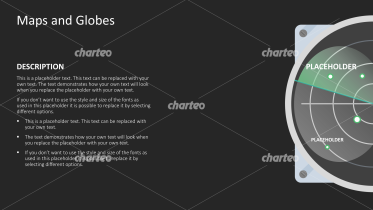 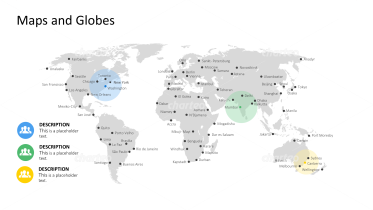 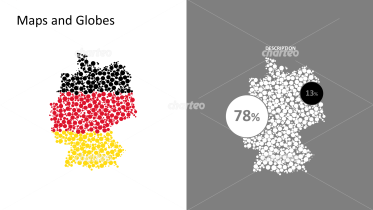 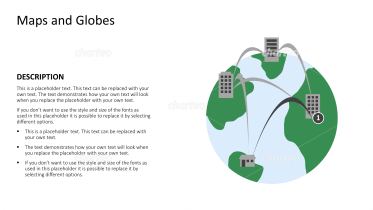 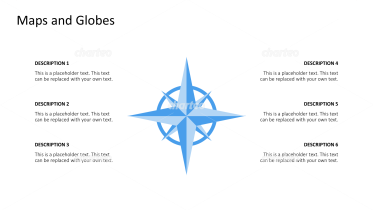 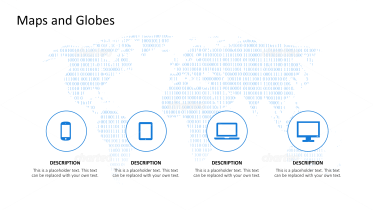 For example, globes with a network of interconnected persona or mobile device icons. 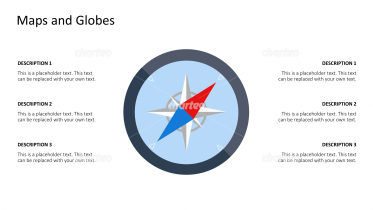 This category also includes navigational tools, such as compasses or radar devices, allowing you to visually represent directional decisions of your company and future industry developments. 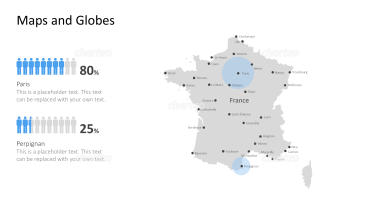 Take your audience on a trip around the world with our country and world map templates.